Posted November 17, 2017 by William Martin & filed under Events. While we eagerly await the arrival of Daniel Craig’s final 007 adventure in 2019, London’s Royal Festival Hall last night hosted a stunning tribute to the work of the late John Barry. The Yorksire-born composer, who died in 2011, wrote the scores for eleven James Bond movie between 1963’s From Russia With Love and 1987’s The Living Daylights. Kicking off with a bombastic orchestral rendition of the iconic theme from Goldfinger, the concert also celebrated a huge range of Barry’s contributions to cinema outside of the Bond world. Highlights included music from Zulu, Midnight Cowboy, Born Free and Out of Africa, not to mention the rousing 17-minute Dances with Wolves suite that closed the show’s first half. The theme from Roger Moore’s 1971 TV series The Persuaders and Barry’s unused ‘Moviola’ were other welcome surprises. The always astounding Philharmonia Orchestra were on reliable form throughout the night, relishing the chance to storm through the James Bond theme itself not once but twice. It was amusing to hear presenter Robert Lindsay credit John Barry as the key man behind the instantly-recognisable tune, having previously seen officially credited composer Monty Norman take claim on the very same stage during the Southbank Centre’s James Bond: The Ultimate Soundtracks concert back in 2015. Ultimately it seems fans can agree that it was the lightning-in-bottle collaboration of Norman’s writing and Barry’s arrangement that gave us the theme which, 55 years on, still can’t help but get the audience grinning from ear to ear. 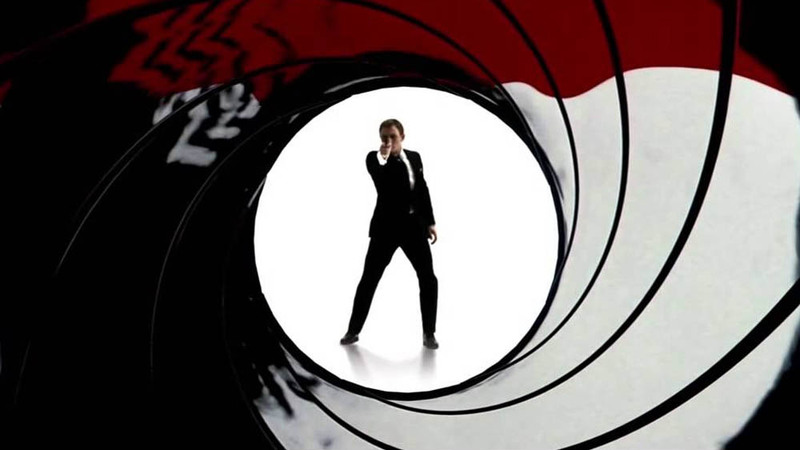 Bond fans can also look forward to The Best of James Bond at Southbank Centre next March, where they can hear many of the franchise’s most popular theme tunes sung live alongside the London Concert Orchestra. Tickets are available now. Performed at the Royal Festival Hall, London on Thursday 16 November 2017.